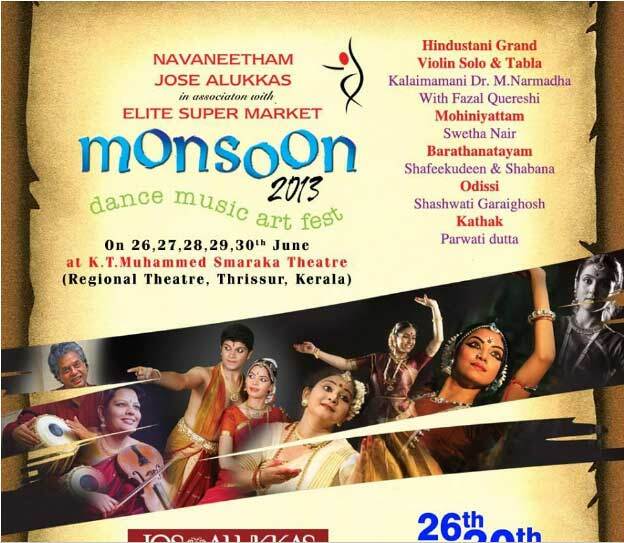 Navaneetham Cultural Trust presents Monsoon Dance and Music Fest 2013– A Cultural togetherness to enrich the cultural values. Held at Thrissur, the cultural capital of Kerala. A space for professionals and upcoming artists. This festival brings to you some of the finest artists in India and also provides and arena for upcoming professional dancers and musicians to showcase their talent. This cultural extravaganza will be held at Thrissur, the cultural capital of Kerala.